We know that many of you are avid readers of Metro Magazine, the leading North American publication for Mass Transit Engineers. 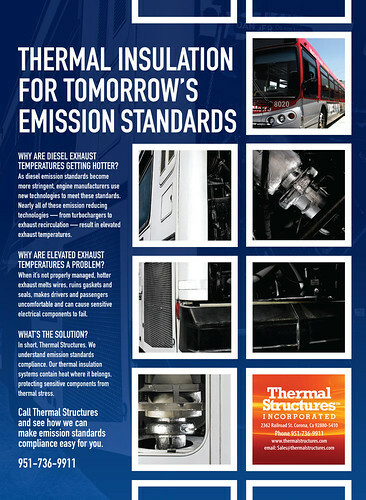 Well, when you receive your copy of the August issue, be sure to flip to the Thermal Structures ad we designed. Just in case you’ve allowed your subscription to lapse, you can check out our ad below. Second, just look at all that copy! I mean, how often do you see whole paragraphs and paragraphs in a magazine ad? Not often enough in my opinion. It’s a beautiful thing.